I think cleansing my face is my least favorite step of my routine. I hate splashing water on my face - getting water and soap in my eyes and nose, wondering if I got it all off, having to hold my breath.... It usually takes a lot of pumping myself up with "I bet you'll see lots of grits from using extra actives yesterday" or "you can use a peeling gel and see how much crap falls off your face" to get myself to start my routine. Other times, I take the easy way out and use a cleansing water or wipe. A few weeks ago Leaders offered to send me a pack of their Green Tea Lip & Eye Point Remover Cleansing Tissue and I happily accepted. I was even more excited when they also sent me a pack of their Argan Oil Deep Cleansing Tissue as well! I've been using them for two weeks now, and feel like I'm ready to share my thoughts on both items. 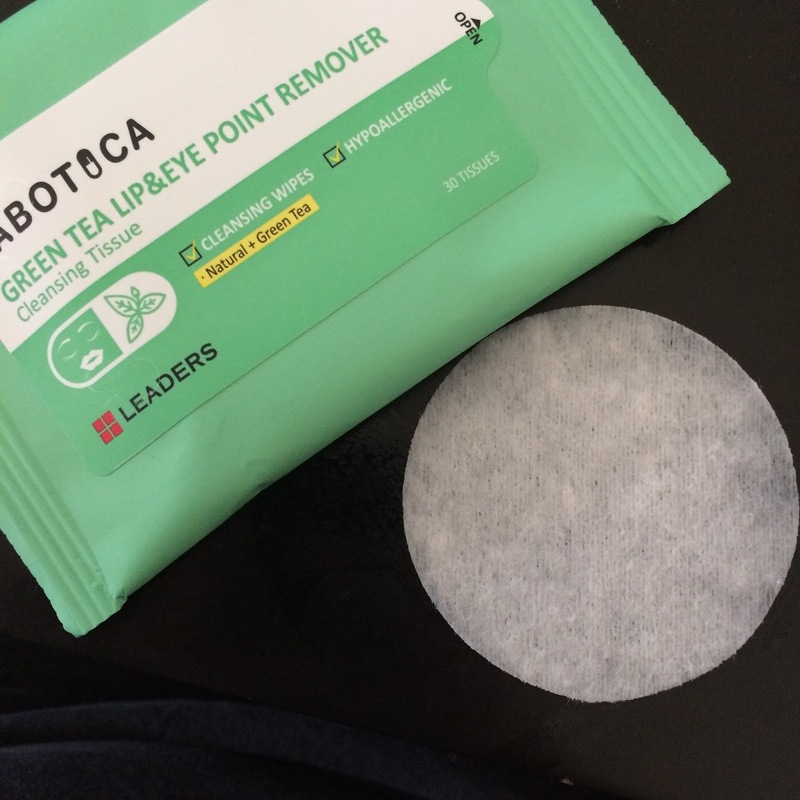 Starting with the Labotica Green Tea Lip & Eye Point Remover Cleansing Tissue, I love the compact size! 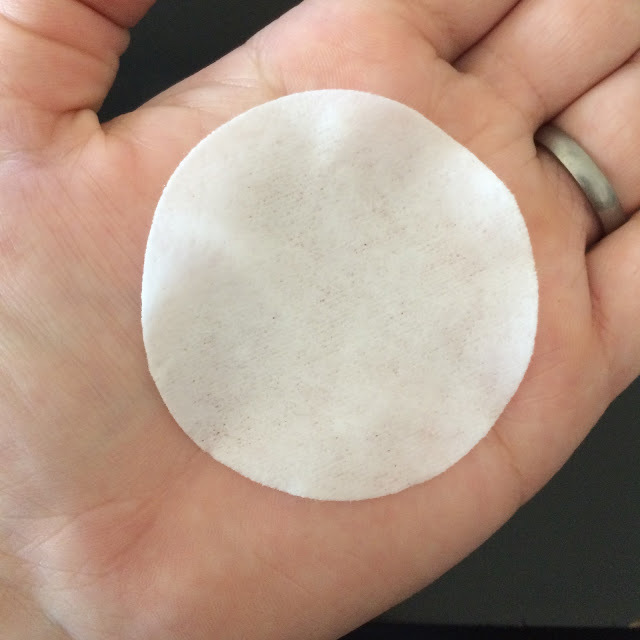 The package contains 30 tissues, that are a perfect round size to fit nicely on your eye area. 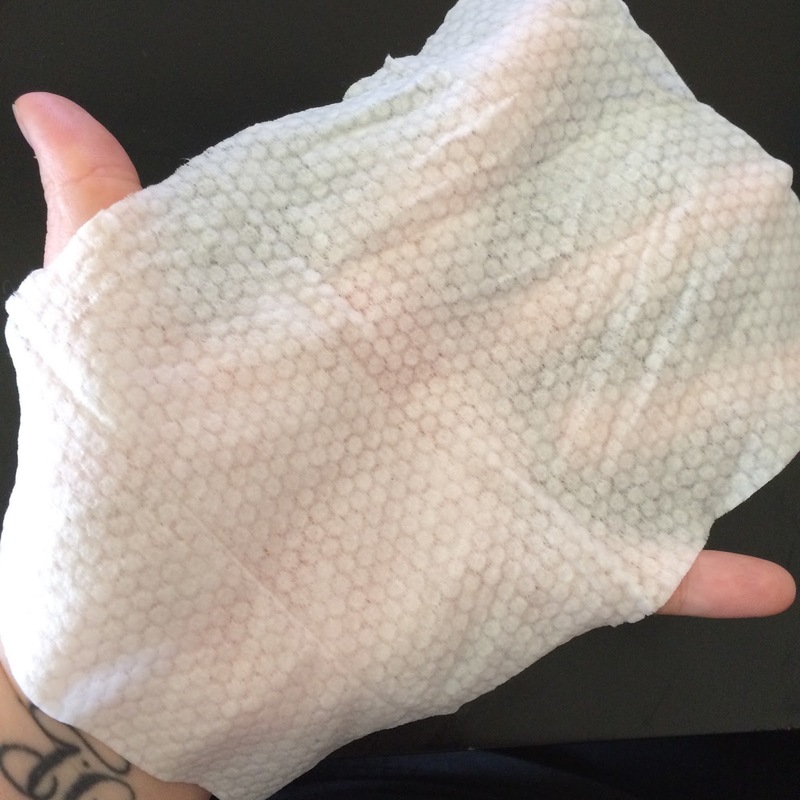 The directions indicate to hold the tissue over your eye to break down makeup for 5 minutes, then wipe off gently. I'll admit, this seems crazy to me. I have a 6 year old with ADHD and there's no way I can even sit in one spot for 5 minutes, let alone hold something over my eye for that long and not be able to totally see what he's doing. On that note, however, I am pleased to report that if you're not wearing waterproof makeup you can hold for 30 seconds and wipe a few times - repeating as necessary, and your makeup will come off just fine. This may work with waterproof makeup as well, but I don't have any to test that out on. 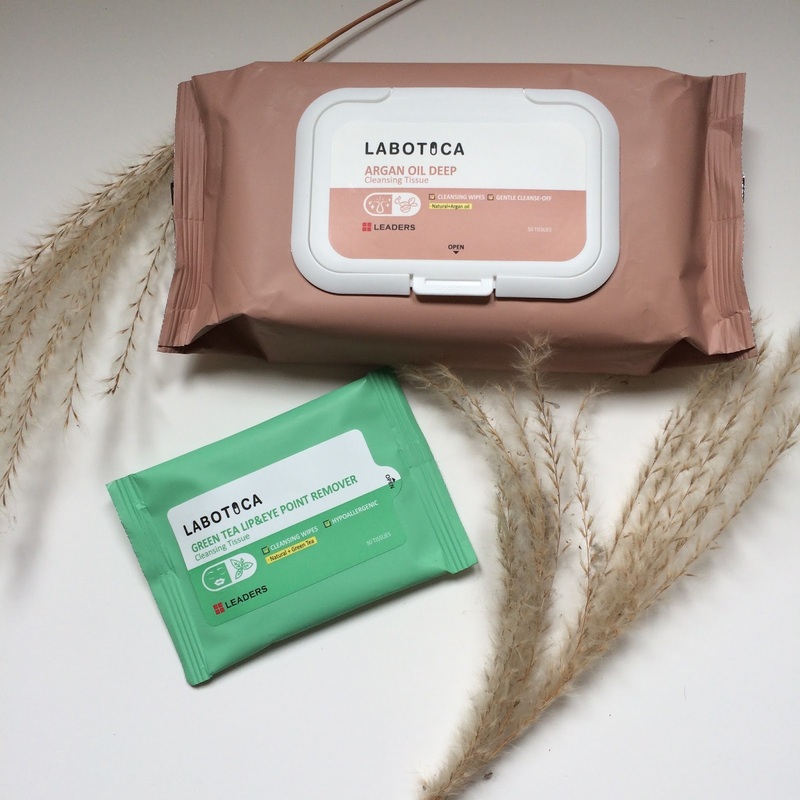 I also want to note that these wipes do contain mineral oil, so your vision may be blurry for a short time afterwards (this did happen to me, until I wiped my eyes well with a cleansing wipe or water, or thoroughly washed my face), but there was no stinging! Water, Mineral Oil, PEG-7 Glyceryl Cocoate, Sorbeth-30 Tetraoleate, Polysorbate 80, Glycerin, Tripropylene Glycol, Camellia Sinensis Leaf Extract, Pyrus Malus (Apple) Fruit Extract, Brassica Oleracea Italica (Broccoli) Extract, Solanum Lycopersicum (Tomato) Fruit Extract, Eucalyptus, Globulus Leaf Oil, Simmondsia Chinensis (Jojoba) Seed Oil, Citric Acid, Sodium Benzoate, Caprylyl Glycol, Lavandula Angustifolia (Lavender) Oil, Citrus Grandis (Grapefruit) Peel Oil, Citrus, Aurantifolia (Lime) Oil, Citrus Limon (Lemon) Peel Oil, Pelargonium Graveolens Flower Oil. 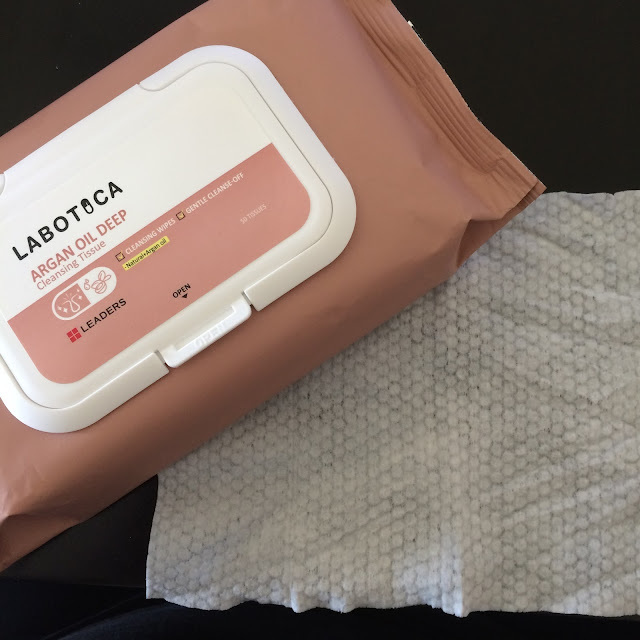 Next is the Labotica Argan Oil Deep Cleansing Tissue which is much larger but comes with a snap-top for more secure closure. This package contains 50 tissues, but they are much larger (bigger than my hand) and have a textured side for deeper cleansing, as well as a smooth side. The directions indicate that this is to be used as a makeup remover and cleanser, and you should rinse your face afterwards. My favorite way to use these tissues, however, is to wipe down my face and neck area and follow with a cotton pad soaked in toner. Like I mentioned earlier, it's the whole splashing water on my face thing that I hate about cleansing, so if I can I'll avoid it. I don't wear makeup on my face too often (or sunscreen right now, because I'm searching for one that doesn't break me out) so I found if I do this occationally it doesn't cause my skin to remain unnecessarily dirty. Obviously the build up of dead skin cells calls for regular cleansing but this is a nice alternative for me on lazy days. Water, Propylene Glycol, Glycerin, Argania Spinosa Kernel Oil (500ppm), Carica Papaya (Papaya) Fruit Extract, Bupleurum Falcatum Root Extract, Chaenomeles Sinensis Fruit Extract, Ficus Carica (Fig) Fruit Extract, Polysorbate 20, PEG-60 Hydrogenated Castor Oil, Cocamidopropyl Betaine, Tocopheryl Acetate, Aloe Barbadensis Leaf Juice, Citric Acid, Cocamidopropyl PG-Dimonium Chloride Phosphate, Caprylyl Glycol, Pentylene Glycol, Hexanediol, Sodium Benzoate, Disodium EDTA, Fragrance. I prefer to rinse without splashing too, so I use a damp face cloth. Also, that way my face is only slightly damp, ready for the next step, instead of dripping.